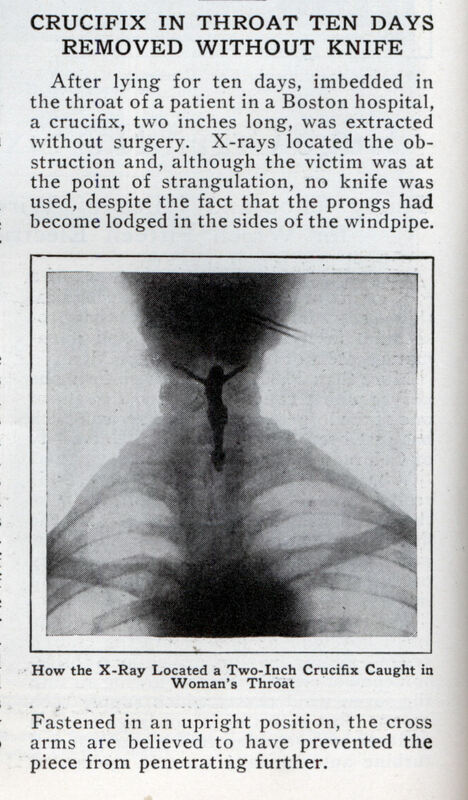 After lying for ten days, imbedded in the throat of a patient in a Boston hospital, a crucifix, two inches long, was extracted without surgery. 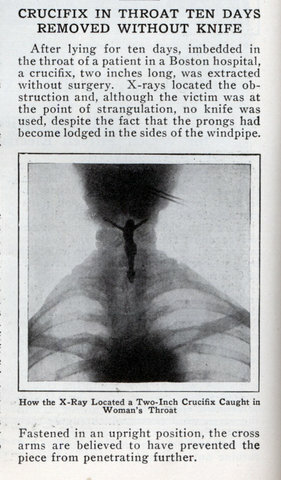 X-rays located the obstruction and, although the victim was at the point of strangulation, no knife was used, despite the fact that the prongs had become lodged in the sides of the windpipe. 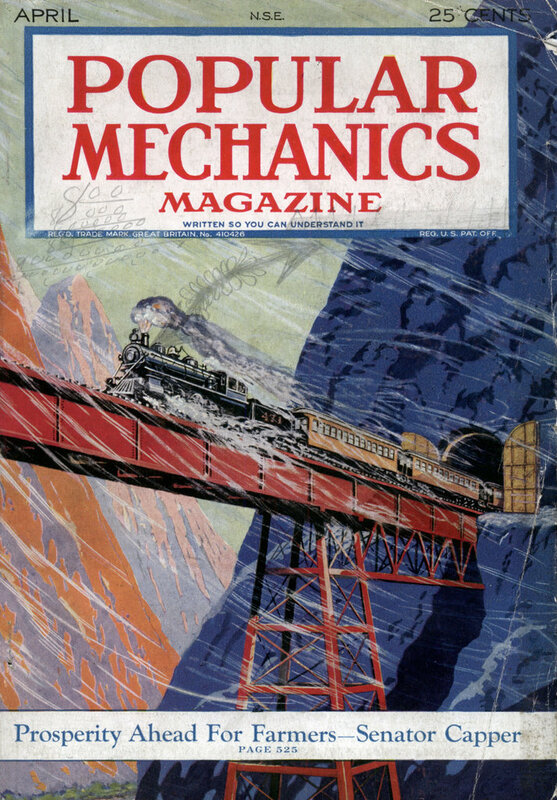 Fastened in an upright position, the cross arms are believed to have prevented the piece from penetrating further. Exactly why I only worship the Flying Spaghetti Monster! May His Noodly Appendage Touch and Bless You All! See, Jesus really is in us all. And it doesn’t even take surgery to get him out.